I was really looking forward to this book based on some of the reviews from fellow bloggers, but I have to say I struggled through the first 100 pages. I decided to continue because I hate giving up on a book, and I was really hoping it would get better. But after struggling through the next 100 pages I decided to call it quits. Although I have never read any of this author's work I had heard good things about her books, so I was quite disappointed to discover this book did not live up to my expectations as a reader or a writer. The main reason is that this story was not only very slow going and hard to get into, but for me it was also unrealistic. The story of Cate Cooper is told in the first person POV. Her husband of 26 years commits suicide after losing all of his private equity firm's money and their clients. Within 48 hours, Cate (who lives in Alpine, NY) is completely stripped of all her wealthy possessions down to the coffee cups, and makes the shocking discovery that her late husband slept with every girl who ever worked in his office and had a second family on the side. Cate has no insurance so she is left totally broke. Within a few days she gets settled at Folly Beach in South Carolina, meets a gorgeous man and has adapted to her simple life. Just like that. Here's a pampered woman who used to visit her hairdresser three times a week, wore designer clothes and hadn't worked a secular job in decades. Back in NY she had no friends, never suspected anything was amiss (that clueless? ), and had had very little, if any sexual contact with her husband during the last ten years of her marriage when he treated her less than stellar. Yet she appeared unscathed from all that happened to her. This story was so superficial, lacking insight and depth that many of the situations and even the dialogue just added to the unrealistic storyline and characters. This is why I couldn't get into it, even if it was fiction. Through all this, though, I could see the novel had potential. After all, the story of a middle-aged woman who suffers a shocking life experience but who re-invents herself and finds a new passion in life is a good premise, had it been dealt with differently. I really tried to look beyond the farfetchedness, but this book failed to capture my interest even though the story of the Charleston Renaissance could have made it interesting. I say could have because the way the author introduced this historical aspect of the book (through a screenplay at alternate chapters) was intrusive to the main story, confusing as regards how it fit in with the main plot, and... I hate to say this... boring. 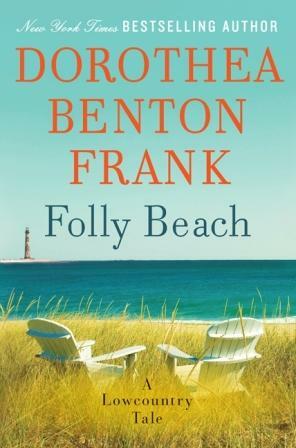 The setting of Folly Beach, South Carolina was the one thing that kept me reading. I have visited South Carolina which is vastly different from Quebec, and the beach setting always makes for good reading this time of year. 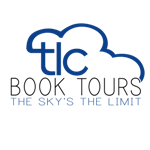 It's true that the Lowcountry has a magical quality to it. Unfortunately, this charming setting was not enough to make up for what could have been an endearing and entertaining read, but was not for me. 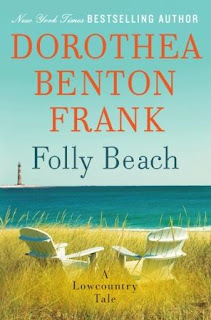 Dorothea Benton Frank is the New York Times bestselling author of Bulls Island (William Morrow, 2008), The Christmas Pearl (William Morrow 2007), The Land of Mango Sunsets(William Morrow 2007), Full of Grace (William Morrow 2006),Pawleys Island (Berkley 2005), Shem Creek (Berkley 2004),Isle of Palms (Berkley 2003), Plantation (Jove 2001),Sullivan’s Island (Jove 2000), and Return to Sullivan’s Island (William Morrow 2009). 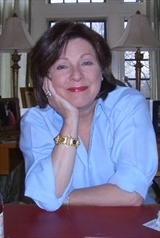 The author, who was born and raised on Sullivan’s Island in South Carolina, currently divides her time between New Jersey and South Carolina. Find out more about Ms. Frank at her website, and follow her on Facebook. Follow her tour stops here. I enjoyed this book, but did find it unrealistic that Cate adapted to her new life so quickly. I would have been bitter, sad, and angry. Sorry it didn't work for you. I'm sorry this one didn't live up to your expectations. Hopefully your next read will be better! I hate giving up on a book, but sometimes it's for the best. Not every book is enjoyable for everyone. I've put a book down and come back to it, and had a completely different experience. This sounds like a book I would have issues with too. It reminds me a bit of The Richest Season by Maryann McFadden, which I reviewed a few years ago. It was also unbelievable, unfortunately. Hope you enjoy your next read more!